Our next stop is a straight shot up the lake from Chicago into the great city of Milwaukee. 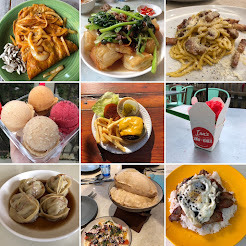 It's also time to introduce the newest series here at S'C'&C which is to feature different food related festivals I visited last summer, which I will now share with you thru this summer. I'll be sure to always make the post in advance of their 2010 date's. This year the Milwaukee Germanfest which is held on the lakefront kicks off on Thursday July 22nd and goes 'til Sunday July 25th 2010. It also happens to be the 30th anniversary of what they call "Milwaukee's Original Haus Party". Last year me and a couple friends embarked on a daylong journey to Milwaukee and ended our trip with a stop at Germanfest and made sure we went out with a bang. I've let it be known that Milwaukee is one of my favorite cities in the US to visit and summertime is best. This is a place that knows how to throw parties and its been that way since the 1840's when the population of the city was heavily increased by German immigrants. The German heritage and culture is still widespread throughout Milwaukee today and if there's one Germanfest in the US you want to visit, Milwaukee's is it. Beer, Brats and Blondes...oh my! According to Wikipedia today's greater Milwaukee area phonebook has over 40 pages of listings with Schmitt or Schmidt which is far outweighing the number of Smiths. Milwaukee has some great German restaurants along with classic beerhalls and some great architecture and they've all been a part of the community for generations. We went on the opening day which was a Thursday last year and admission was free and we took in the scene, chowed down on the food and put down plenty of beer during our visit. I snapped as much as I could remember too and hope to get back this year. So here's a little sneak peak into what you can expect at Germanfest in Milwaukee on beautiful Lake Michigan. What makes up a German pizza you ask? So if your thinking of heading up to Milwaukee for Germanfest or for any other reason we have plenty of other good eat rec's that can be found right HERE. Its an amazing eating city and a great place to spend a summer weekend or even just the day eating and drinking away. See ya next time on Smokin' Chokin' and Chowing with the King. awesome post! I'm happy to call myself a lifelong Milwaukean, Germanfest is one of the best summer festivals in town. I'm glad you and your friends had a great time. Don't forget about Karl Ratzsch's German restaurant and the Old German Beer Hall where the beer flows from the boot. Of ocurse,this is nice party at milwaukee and i will be run up there with my friend and nice facility available there.